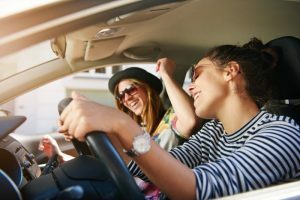 Do you wish you could keep an eye on your kids when they borrow the family car or know where your fleet of work trucks are at any time? A GPS-based tracking system is an easy way to keep tabs on your vehicle. 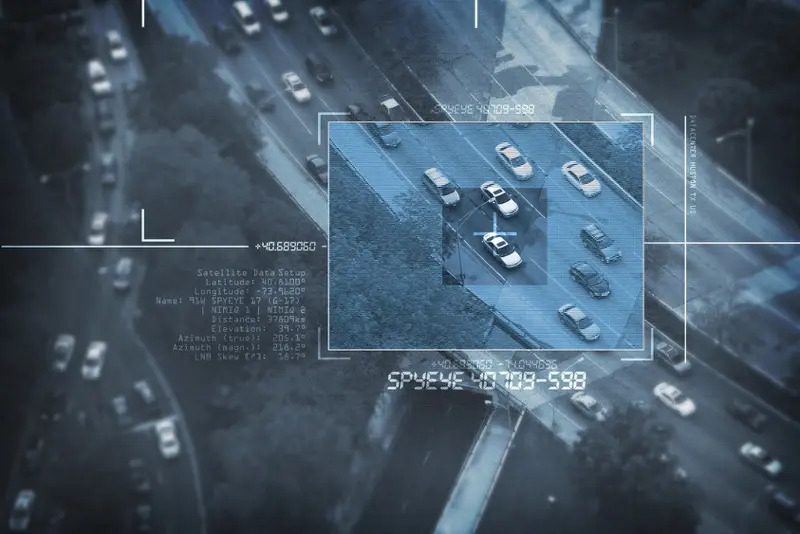 In this article, we’ll discuss some of the options for vehicle locating and tracking systems and, of course, explain how they work. This image shows the location of a car in a small shopping plaza. A Google Satellite view of the same vehicle. A tracking module contains three primary components. First and foremost, a CPU controls the system. The CPU runs software that communicates with the rest of the hardware on the device. The next important component is a GPS receiver and antenna. The GPS receiver provides the CPU with the location, velocity and altitude of the vehicle. Third is a cellular radio. The cellular radio communicates with a server to store information about the vehicle’s location and operation. GPS tracking systems communicate with the server at predetermined intervals based on the service package you have chosen. These intervals could be one, three, five or 20 minutes, or on-demand as required. 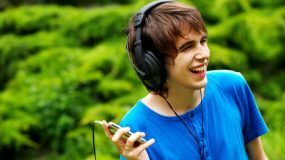 More frequent updates use more cellular data and are typically associated with more expensive tracking service packages. Some tracking systems include additional features such as inputs for seat belts and doors, accelerometers to log sudden acceleration and braking, RFID fob readers to identify drivers and A/V inputs so you can see and hear what’s going on in the vehicle. Some premium hardware solutions include a lithium ion backup battery so the system will continue to function even if the vehicle battery is disconnected or completely dead. 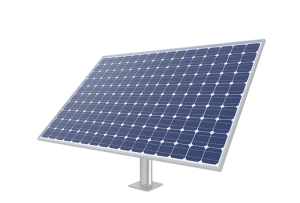 Other systems with integrated solar panels are available for trailers or infrequently used equipment. If you need a solution that can handle getting wet or dirty, tracking hardware is available in an IP65-rated water- and dust-resistant enclosure. Custom solutions are available for specific applications. If you operate a fleet of waste removal vehicles, you can log each time they lift a bin. The same logic applies to tow trucks, snow plows and, of course, delivery vehicles. Custom sensors and switches can interact with the logging system to store and log almost any conceivable function. Perhaps you have an armored car service and need a panic button – that’s an easy solution. 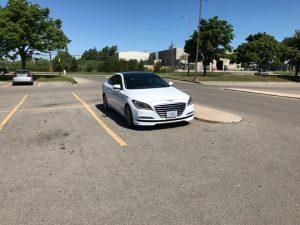 The locating system pinpointed the vehicle to the first spot in the row. The actual location of the car in that plaza. Two interface options are available, depending on your needs. For most consumers, an app on your smartphone is available to let you see the location of your vehicle. 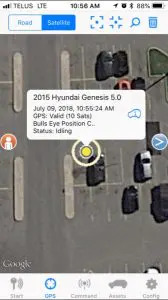 In most cases, the location is overlaid on Google or Apple maps so you can understand the vehicle location graphically. In most cases, the location is accurate to within about 25 feet of where the vehicle actually is. If the GPS receiver receives signals from enough satellites, the accuracy can be even better. 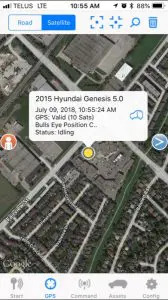 For clients using their tracking system for business applications, most services provide a web-based interface that can show you the location of your entire fleet and allow you to configure warnings and reports. 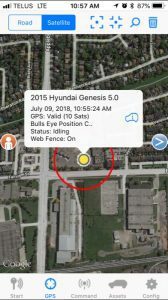 A Geofence set up around the vehicle location. When the vehicle leaves this boundary, the owner will receive an alert. Consumer tracking solutions typically offer five or six software-based features. 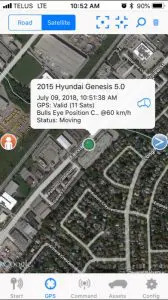 These include geofencing and over-speed alert, as well as tow alerts and after-hours motion alerts. Geofencing is an alert option that will let the operator know when the vehicle enters or exits a particular geographical area. In most cases, this feature is configured by placing a pin or marker at a location and identifying a boundary radius in miles around that position. Depending on how it’s configured, a warning is displayed on the operator’s smartphone when the vehicle enters or exits this area. Over-speed alerts are easy to understand. The operator configures a maximum speed for the system and will receive a notification if that speed is exceeded. Two advanced features are the tow and after-hours motion alerts. The after-hours alert will send a warning if the vehicle moves during a preset time. If you never drive your vehicle after midnight and are rarely up before 6 a.m., you can set an alert to let you know if your vehicle moves during that period. Tow alerts are another great feature that helps alert the operator to potential vehicle theft. You will receive a tow alert when the vehicle moves without the ignition being turned on. For business owners, knowing how your vehicles are operated is as important as knowing their location. Many commercial solutions include accelerometers that log aggressive acceleration and abrupt stops. Smooth driving reduces wear on the vehicle and improves fuel economy. Many systems provide audible warnings to the operator to coach them in improving their driving habits. Commercial tracking solutions can typically generate reports that will identify idle time to reduce fuel consumption further. 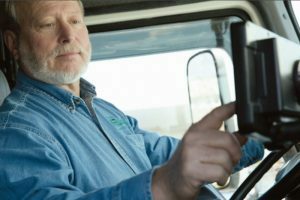 Some tracking solution providers offer devices that comply with the Federal Motor Carrier Safety Administration’s Electronic Logging Device mandates. If you need to track Hours of Service or generate Record of Duty Status reports, several companies provide these services. From a business owner’s perspective, knowing where your vehicles are and how they are being used lets you manage your assets reliably. 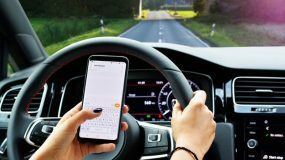 If your staff knows that they are being monitored, they typically drive more safely and waste less time on personal matters. Those savings alone can dramatically reduce your costs. You can generate usage logs based on distance traveled or hours of operation to schedule maintenance and streamline your operations. Research indicates that vehicles with GPS tracking where the operator knows you are logging the vehicle position are 7 percent more productive and use 8 percent less fuel. The same logic applies to letting your kids borrow your car. If they know you are keeping an eye on them, they are less likely to go places they aren’t supposed to. 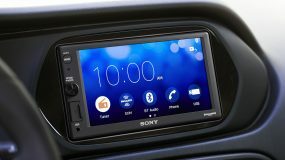 Whether you want to log your mileage for your tax return, keep tabs on your son or daughter or monitor how your fleet of service vehicles is operated, your local mobile electronics retailer can help you choose a hardware solution that meets your needs.